We have always loved smoothies in our household, I mean who wouldn’t? They’re just so yummy! But ever since watching a movie on Netflix (also available on YouTube) called "Fat, sick and nearly dead" we have had a new found respect for just how much goodness you can get from fruit and veg. 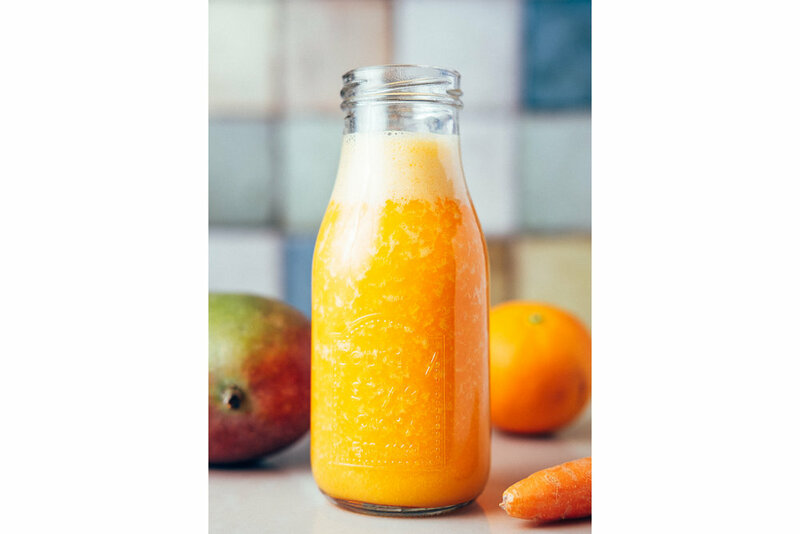 Everyone knows that you should eat healthily but that movie really opened our eyes to just how many benefits there are to something as simple as a smoothie. I would recommend you watch it. Now not all our smoothies we have are as yummy as this one but sometimes you just need a super tasty reason to get out of bed. Plus the blender is pretty noisy so there was no sleeping in for anyone! This is such a simple recipe anyone can do it, in fact, Paul made this one. Below is a list of the ingredients. Not much to it really. A couple of cups of water to dilute and make it go farther. It’s not that great when it’s too thick.